Home > Terminology - Mutual Fund > Non-financial and Financial assets - What is Net worth? Non-financial and Financial assets - What is Net worth? 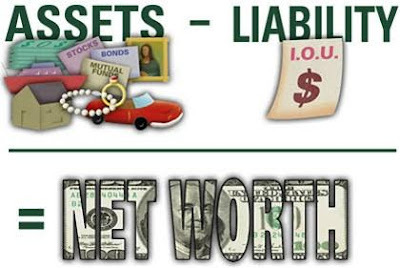 Net worth is the value of all the non-financial and financial assets owned by an institutional unit or sector minus the value of all its outstanding liabilities. Thus, net worth can refer to companies, individuals, or governments. In a layman language, anything that can be converted into cash is one's net worth. Typically, individual net worth comprises of the following. 6. Fixed instruments in bank, post office and NBFC. 7. Mutual Funds and Shares. Across India if we measure the net worth of the individuals, the highest percentage contributes none other than real estate investments, which is highly liquid and it is purely depends on demand and supply. Yet, they neither worried about this nor they felt they were overexposed to one investment. There is no regulator and largely influenced by the black money, after demonetization this sector hits very badly. In the next few years hardly one can see any growth or sustained growth is only possible! Some of my clients in the recent past are asking me all my investments are in mutual fund only, many feel that, am I taking a huge risk because everywhere it is mentioned that one should not put everything in a single investment whereas am investing everything in MF! If you look at the typical Indian investor investment distribution, hardly anything from mutual fund, so their mutual fund contribution to their net worth is insignificance. The reason is, many investors feel that financial asset is the only asset or its net worth. Typical retail investor’s goals are long term in nature and they have to build brick by brick through power of compounding only, so no need to worry about it. Basically mutual fund suit all the retail investor needs, it gives highest form of liquidity, level playing field, no location specific, no volume game and on top of it is controlled by the regulator. Nobody is there to guide any other investments except mutual funds as far as India is concerned. 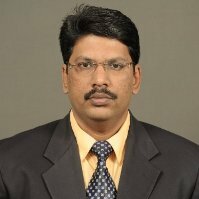 Here is somebody (Advisor) who can guide the investor through all the volatile times and helps to realize investor goal by projecting what is possible based on the investment vehicle potential, not mere hope or taking undue advantage of demand and supply mismatch. Unfortunately, we don’t like anything which is transparent in nature. Nobody likes 1+1=2 which is reality. Everyone likes 1+1 = !!! (Your imagination). This gives all the hope and thrill is the reason for still everyone is playing on real estate!